It took me a while to get into the swing of things in South Africa. I wasn’t thrilled about spending my life behind bars, gates and memorising a million security codes. Just heading to an ATM can become an ordeal as you try and locate a secure one and watch your back for the scammers that hang out around cashpoints. But once I acclimatised I not only saw the beauty of this country but also began to understand its complex political history and why it is the way it is. Invaded by intrepid Dutch explorers who settled, in certain areas you can very much feel their influence. Especially in the language, Afrikaans and Dutch sounds incredibly similar and both nationalities can understand each other. A British invasion followed. But the forced segregation in the country, apartheid, is possibly the most shocking (as it was so recent) and its aftermath has left a huge impact on all races that live here. I covered a fair amount of ground in just under a month in South Africa and the places I visited were dramatically different to each other. I loved the little surfing town, Jeffrey’s Bay. For a surfer hangout it wasn’t half as pretentious as many are. Raglan and Byron Bay seem to attract a crowd that think they are too cool. 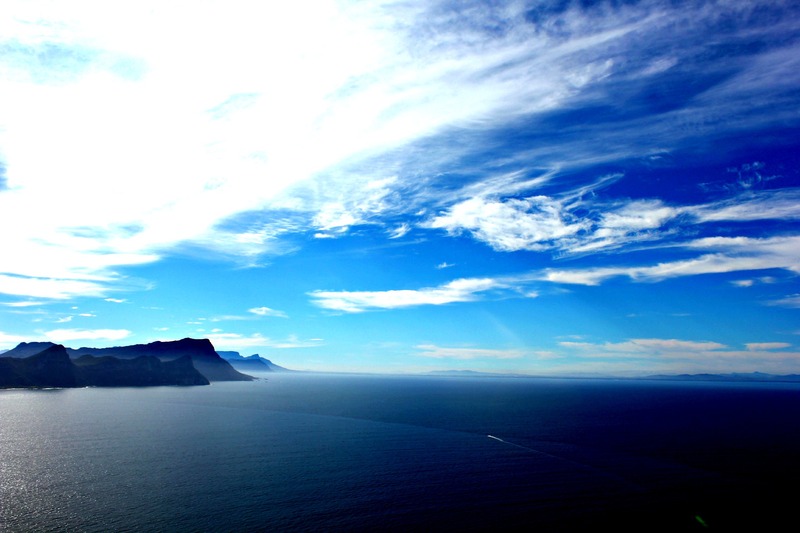 Jeffrey’s Bay is perfectly chilled and is all about getting into the ocean and enjoying its power and beauty. Oh and partying, that’s pretty epic here too. I had to stay in Port Elizabeth, but my advice would be don’t do it! My mode of transport (Baz Bus) meant I had to spend a few days here, so I went on a safari but I felt pretty unsafe and so for the rest of my stay I spent banging my head against my hostel room wall wishing I could escape. I’ve told you about Bulungula near Coffee Bay and I’d recommend it wholeheartedly. Umtentweni was truly wonderful too because the people and the shark diving made it so memorable. Durban was just a city, not my thing. 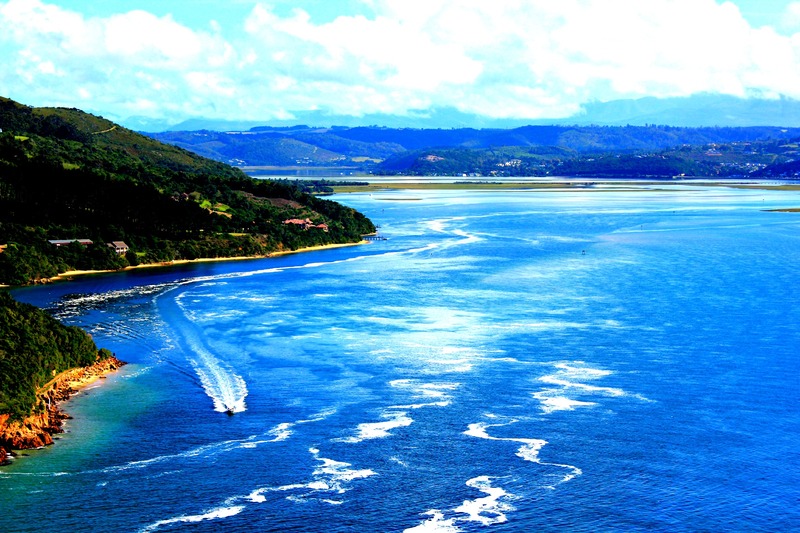 Then there’s Knysna – Pronounced Nice-na, the name is incredibly accurate. Absolutely stunning, probably one of the most picturesque places I stayed. If I was looking to retire in South Africa I’d head to Knysna in a shot. It used to be a port but is too treacherous for boats to venture into these days. The views from Knysna Head are breathtaking and the local township was a really interesting place to visit. Mossel Bay was a key stop for me as I was excited to get in a cage and see some Great White Sharks, face to face. Health & Safety wasn’t quite as I’d hoped as the was only one cage and no safety cage. I struggled to keep my limbs from floating out of the bars as 6 Great Whites circled and butted the thin metal struts. The sharks were so beautiful though and it was thrilling being up so close to them. I wish I’d been able to swim freely with them rather than have them lured in with tuna heads and murky fish water. I also hung out some really cool people here and celebrating King’s Day with the Dutch and South African folk was umm messy! Finally Cape Town, I could easily dedicate a whole post to this glorious city but sadly my current travels mean writing time is limited! Heading up to the top of Table Mountain would be my biggest recommendation. 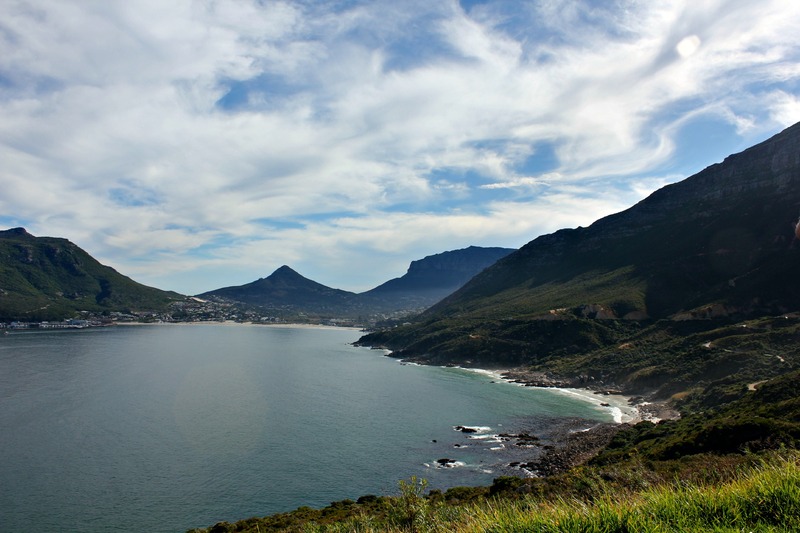 You truly get an idea of this sprawling city, the beaches, the harbours and the mountains. I took the cable car up and then you’re free to roam. Some nutcases were abseiling off the top and I realised I probably couldn’t bring myself to do it – dammit I’m not invincible! Robben Island was worth a trip purely to check out the prison where so many political prisoners spent many years, including Nelson Mandela. I climbed up Cape Point and Lion’s Head and took in Cape Town from every angle. It’s also worth a peek at the Penguins on Boulder’s Beach – too cute! Quirky cafes, restaurants, holistic services and an arty feel, this city has a lot to offer, I’m sure I’ll be back one day!